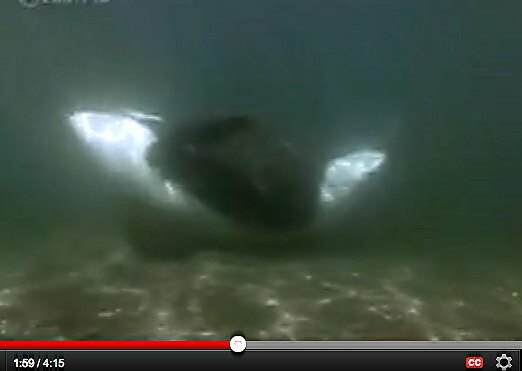 Clip from the PBS documentary Realm of the Killer Whales, filmed about 1998/99, showing the A23 matriline at Robson Bight while the film crew observes. A23/Stripe was the mother of Corky at SeaWorld in San Diego and died in 2000. Her son A27/Okisollo died in 2001. Stripe’s other two offspring in this clip are A60/Fife and A43/Ripple, along with Ripple’s calf, A69/Midsummer.